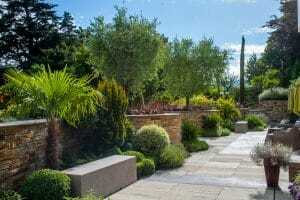 Keane Spaces by Damien Keane Garden Design brings the expertise of large-scale landscape design – from build to aftercare – to small spaces.Damien has been gardening since he was 12, initially learning the ropes with his father during his school holidays and later going onto to train at third level. 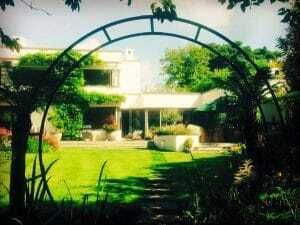 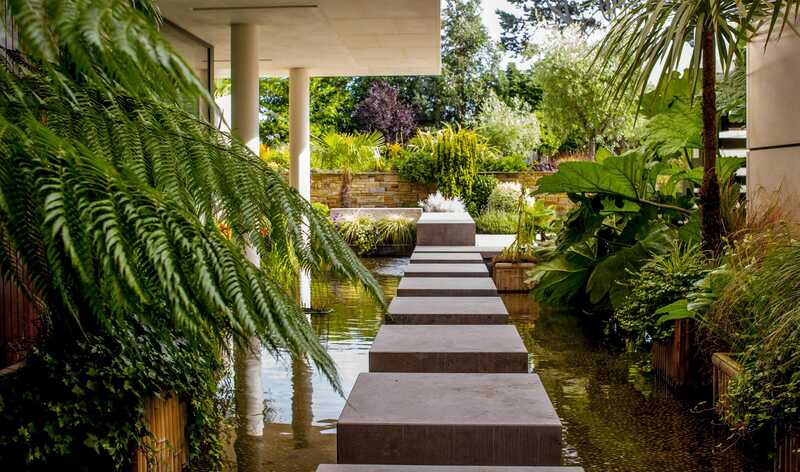 After qualifying he set up his first business in his early 20s and has come from cucumber sandwiches and ginger ale in the big houses of the past, to large-scale gardens for residential and commercial clients today. 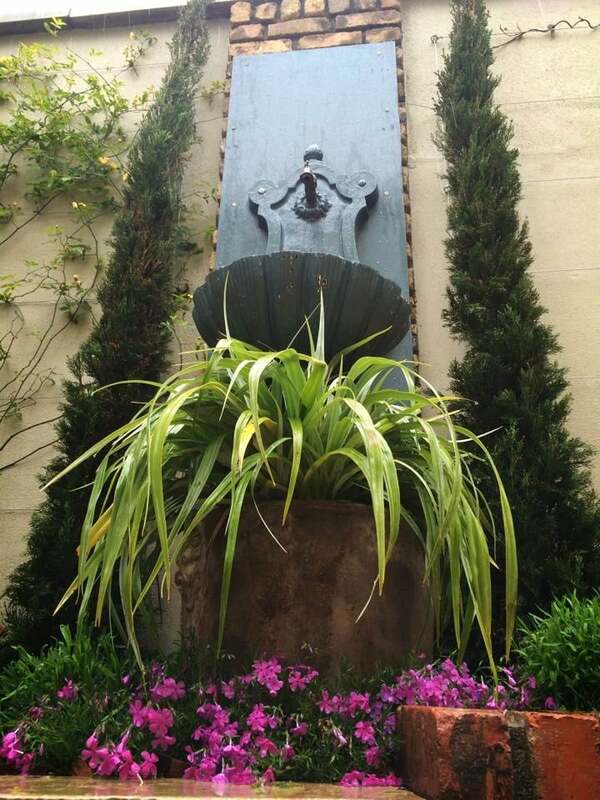 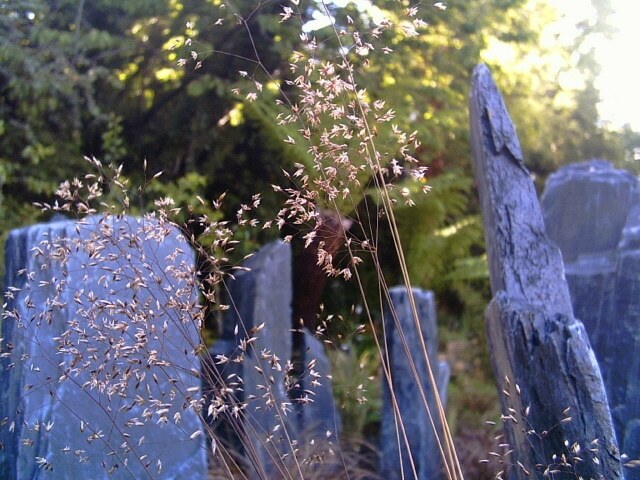 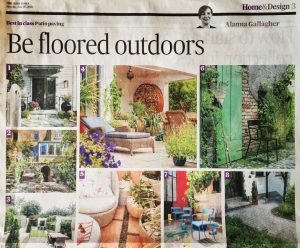 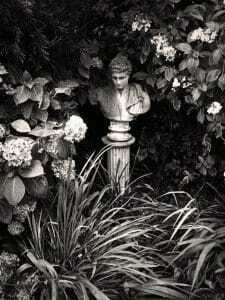 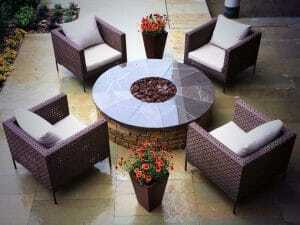 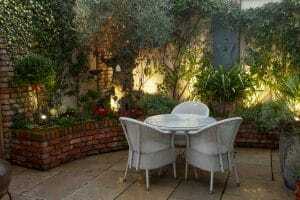 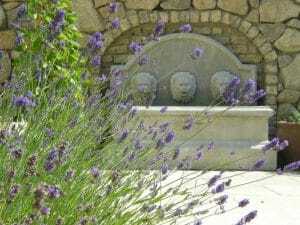 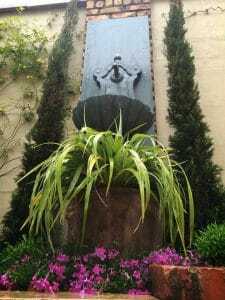 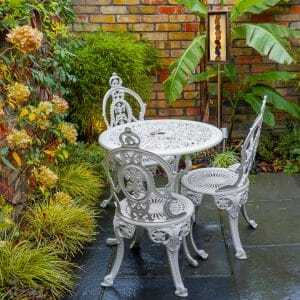 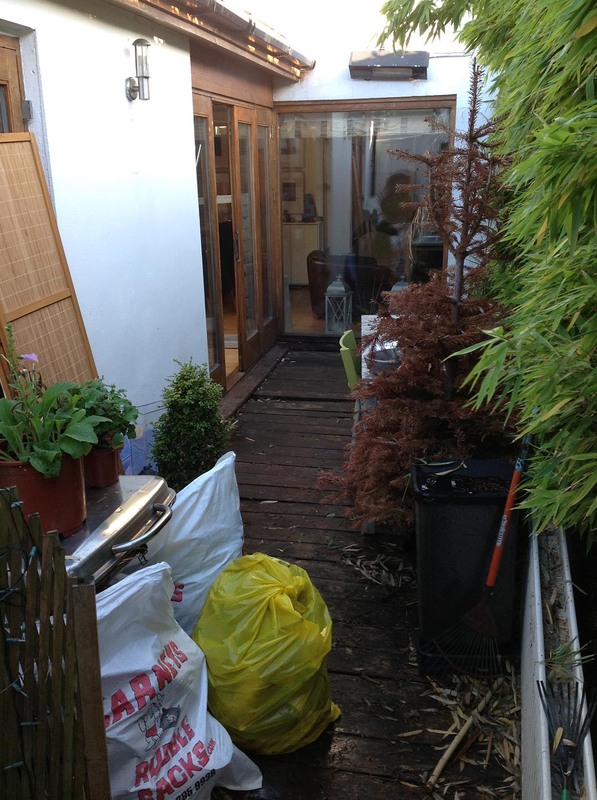 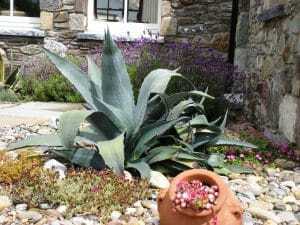 Damien believes that all outdoor spaces big or small can become dream gardens. Damien Keane Garden Design delivers on the high end of the spectrum while Keane Spaces delivers small spaces that people can escape to. 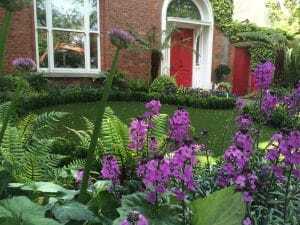 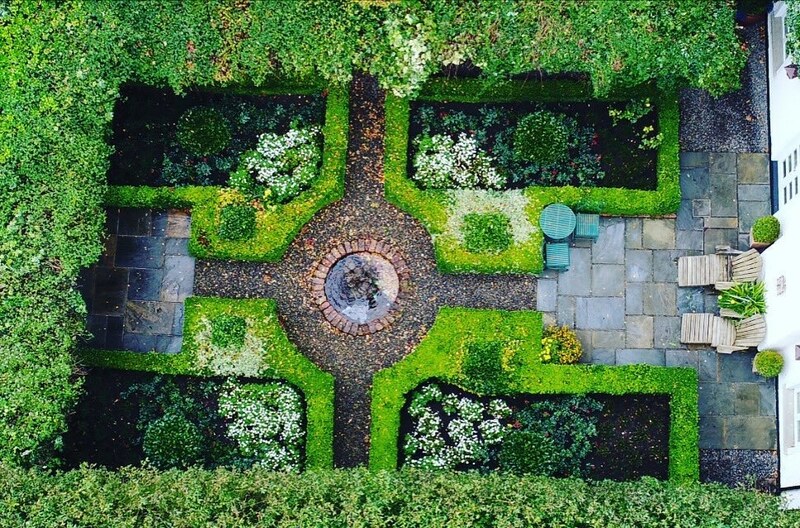 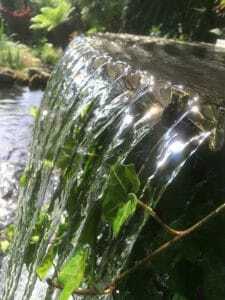 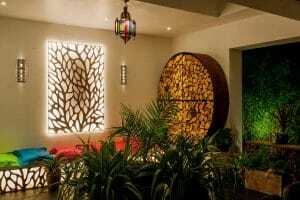 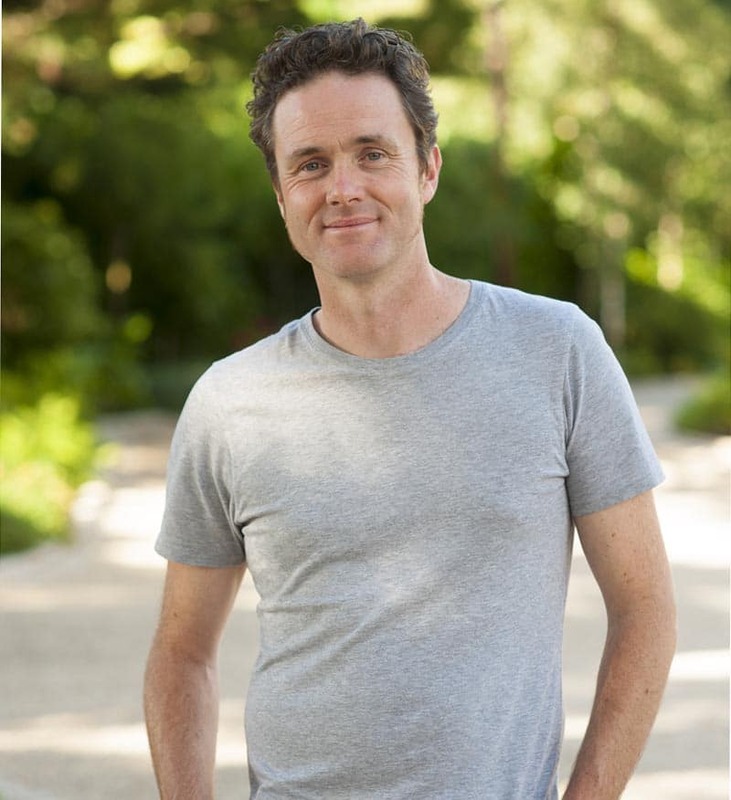 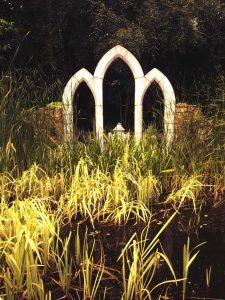 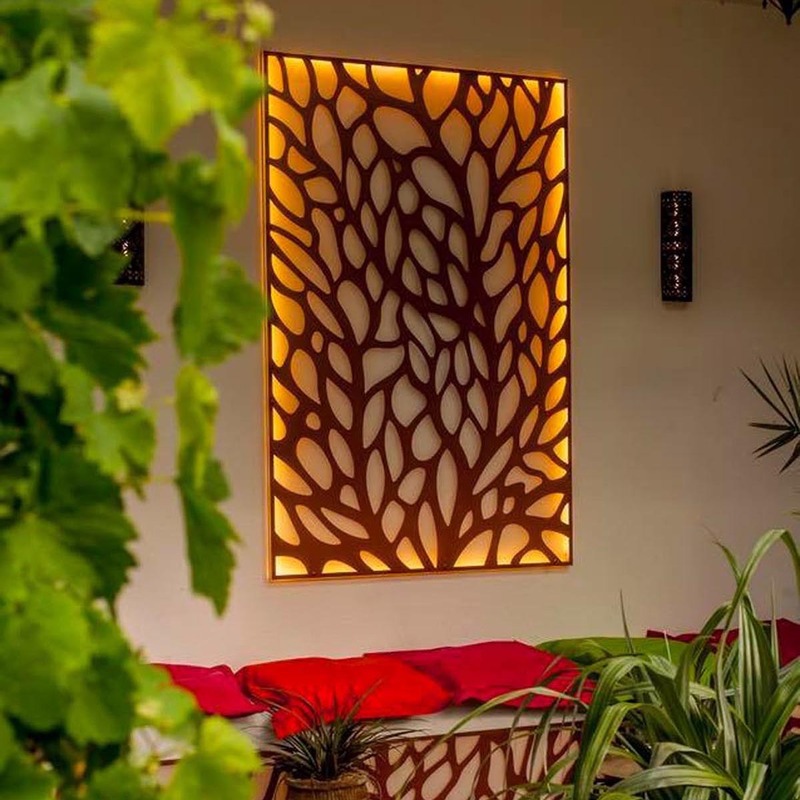 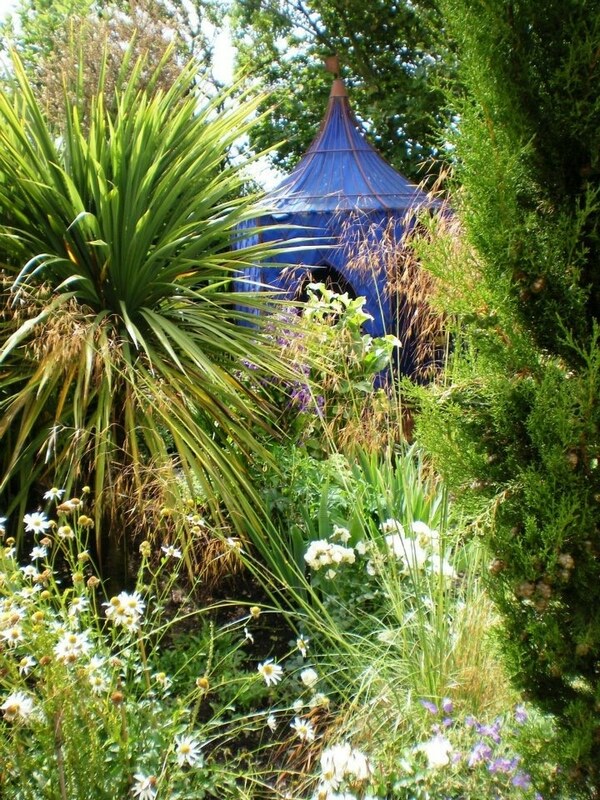 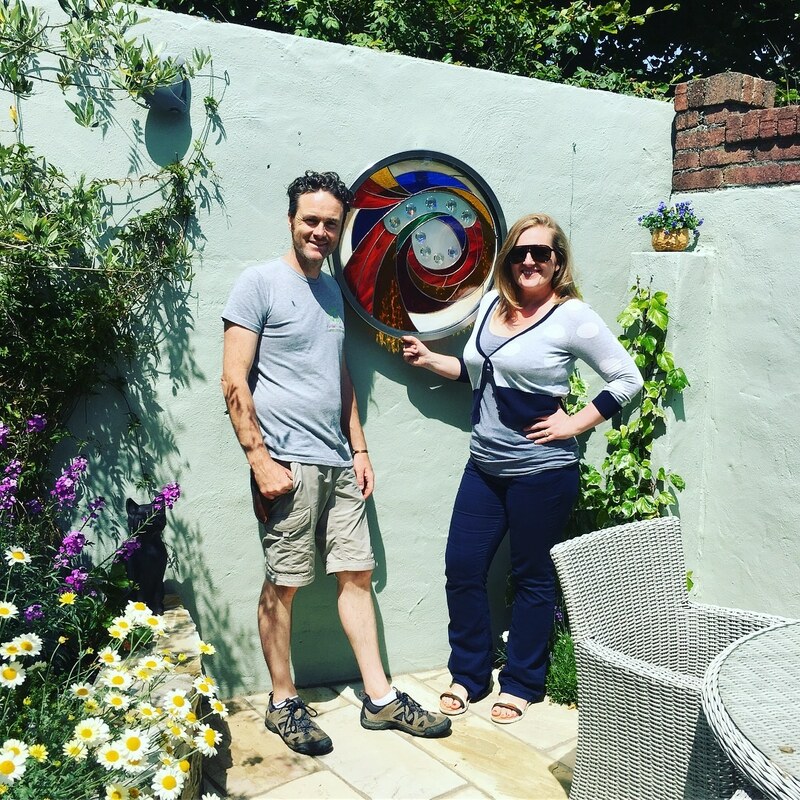 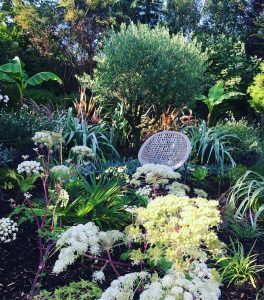 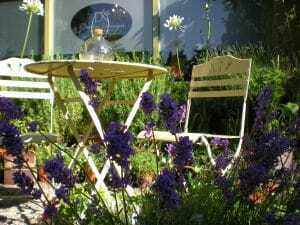 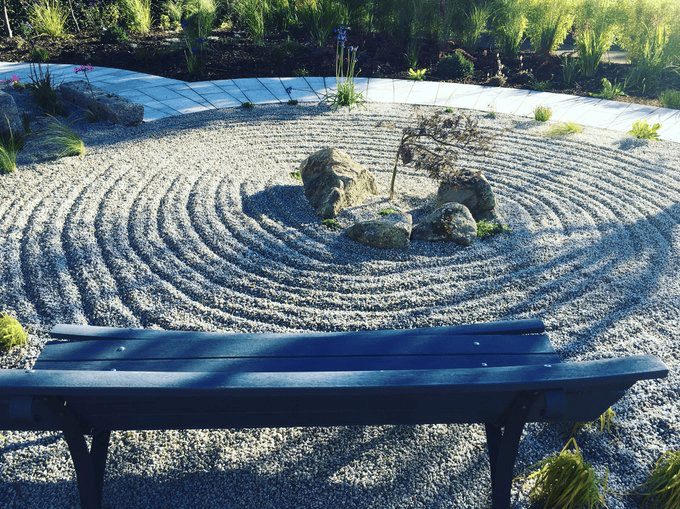 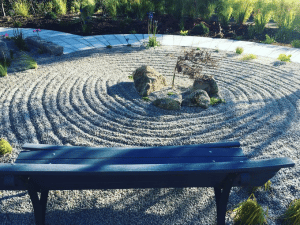 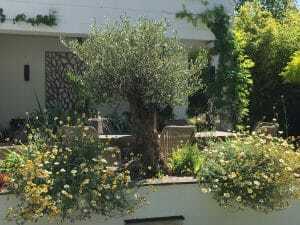 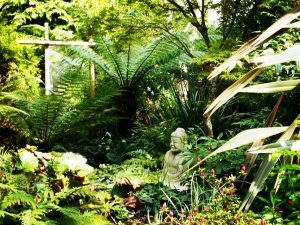 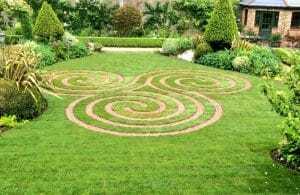 Whether the dream is a hideaway for prossecco with friends, a flexible garden to grow with the family, or an area carved out of the garden for mediation and solitude, Damien works with clients to bring their ideas to life. 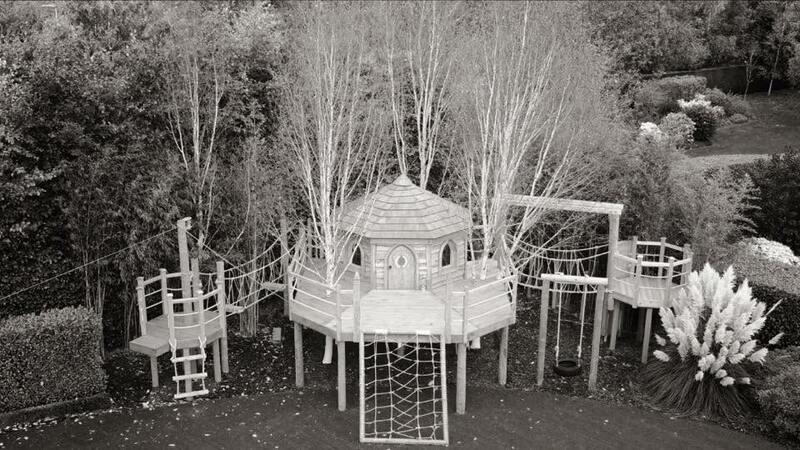 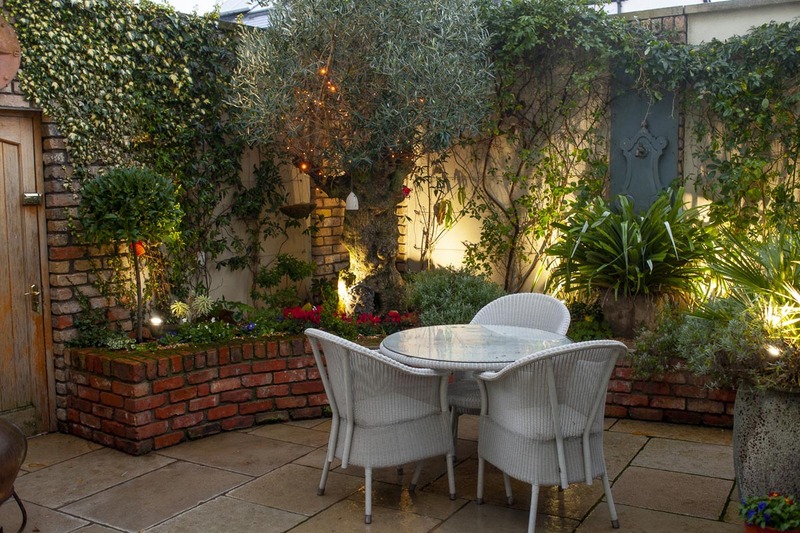 A bespoke Keane Space can range in price anywhere from €5,000 to €30,000. 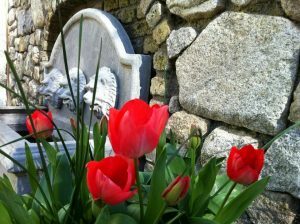 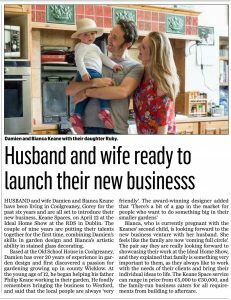 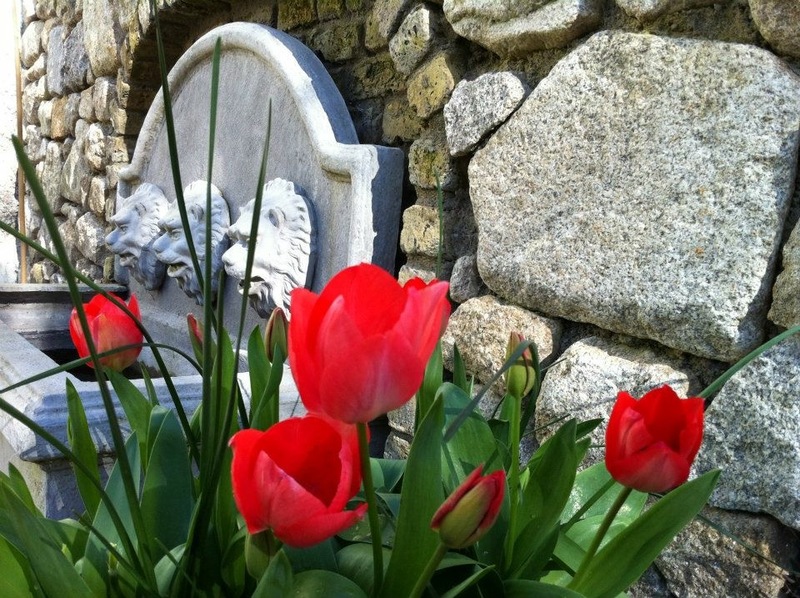 Keane Spaces is a family led business run from The Old Schoolhouse in Coolgreany. 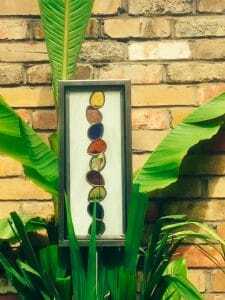 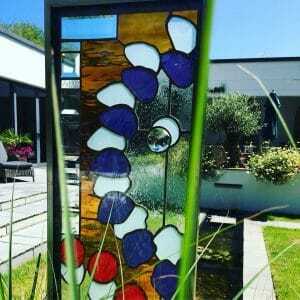 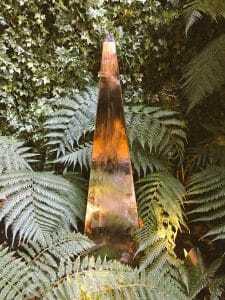 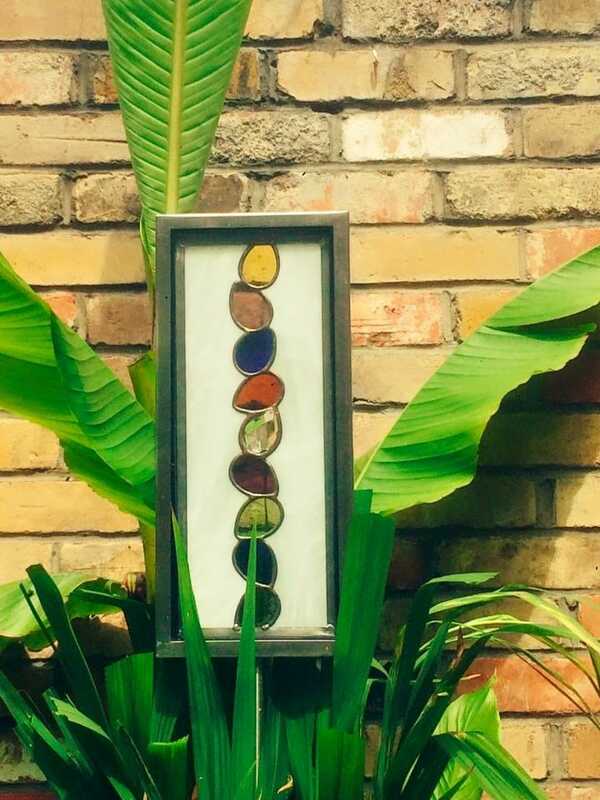 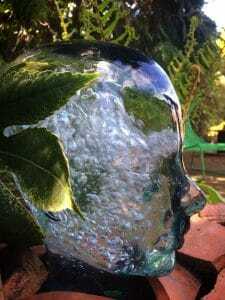 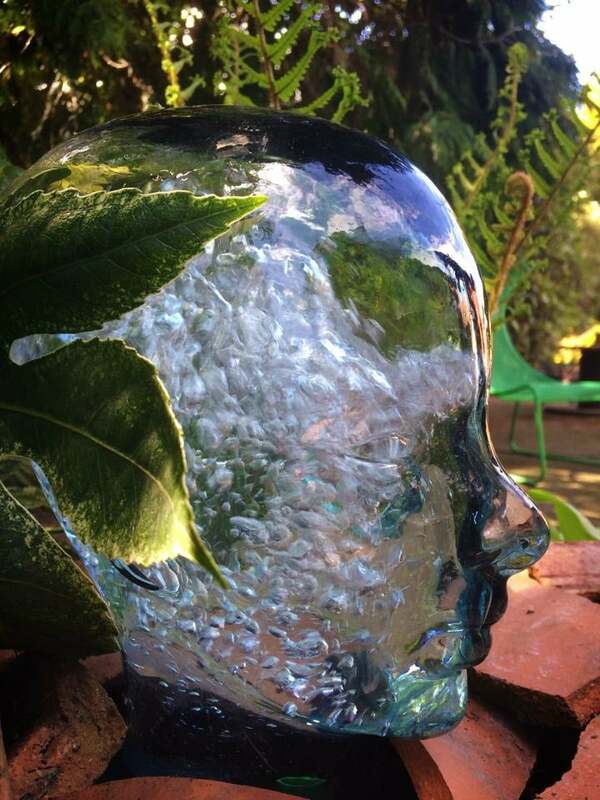 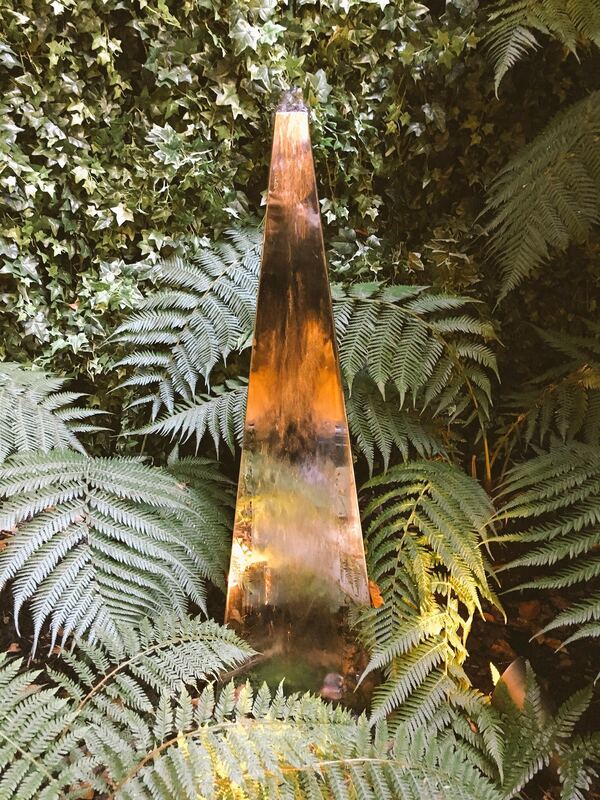 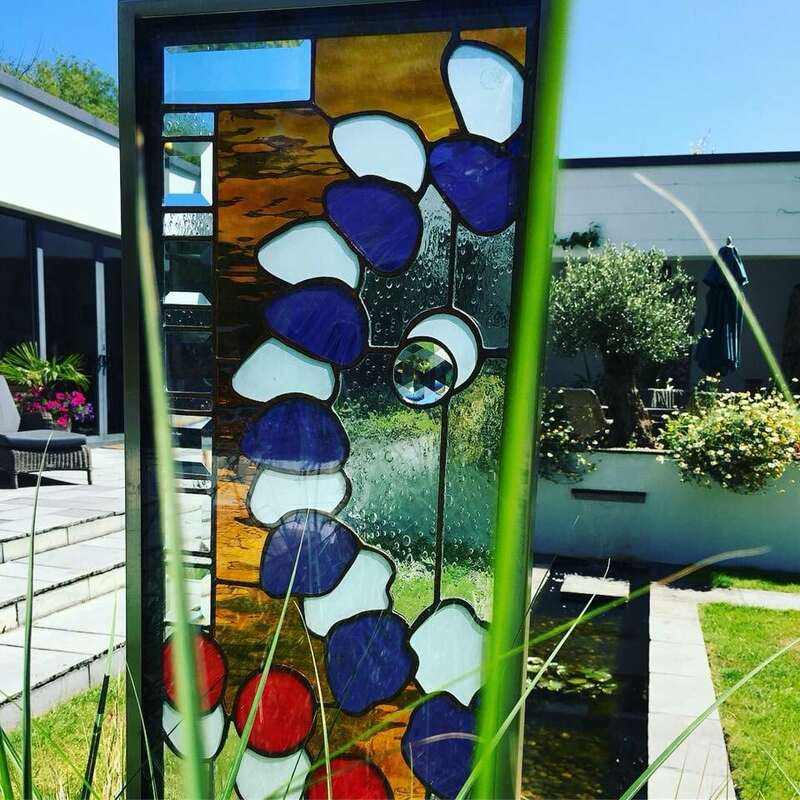 Together with his wife and collaborator Bianca Divito, a renowned glass artist, they have won many awards including The Sculpture in Context Award 2016, The World Flower Show Award 2014 and an RHS Chelsea Flower Show Award in 2012. 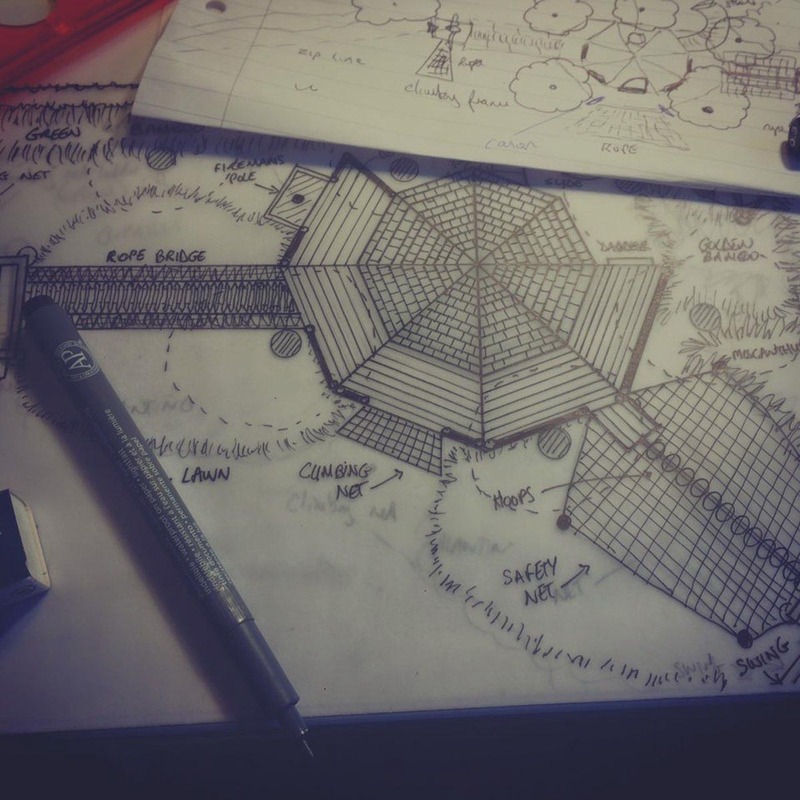 We build the dream and we don’t push our own design agenda. 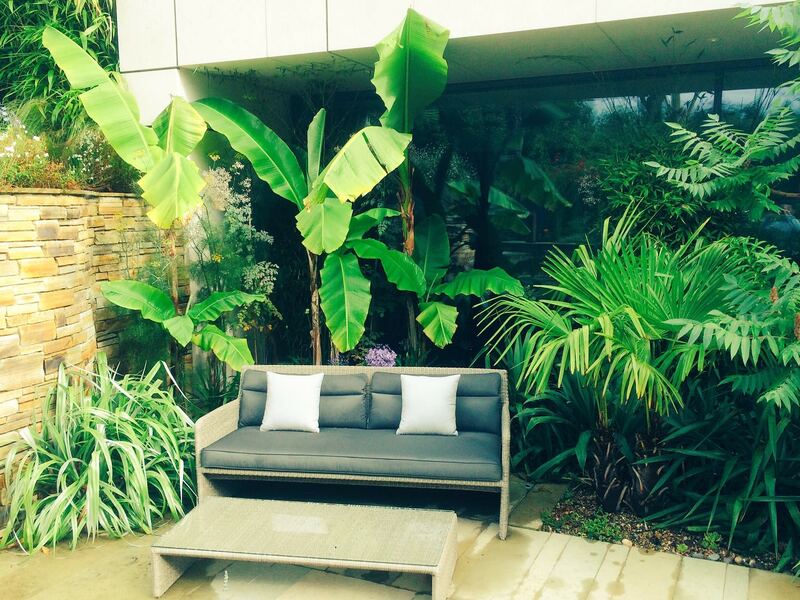 We create unique, bespoke spaces according to our client’s needs. 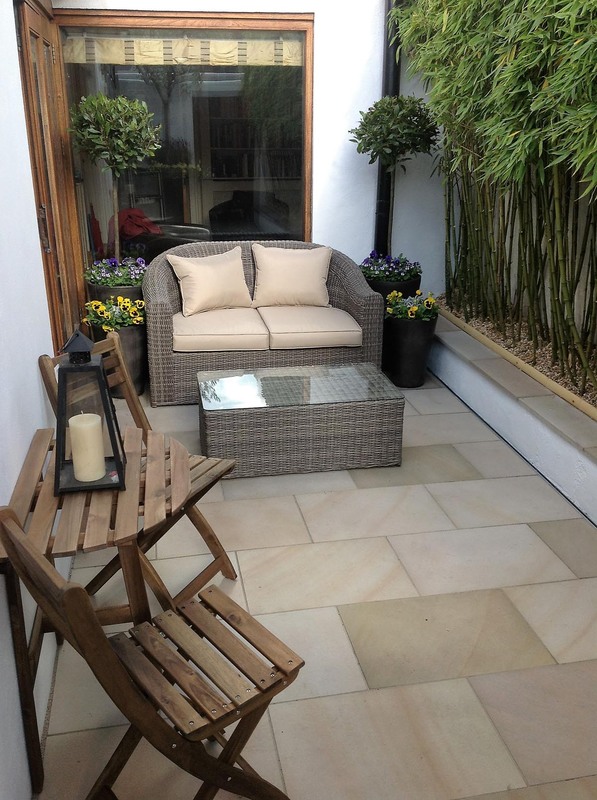 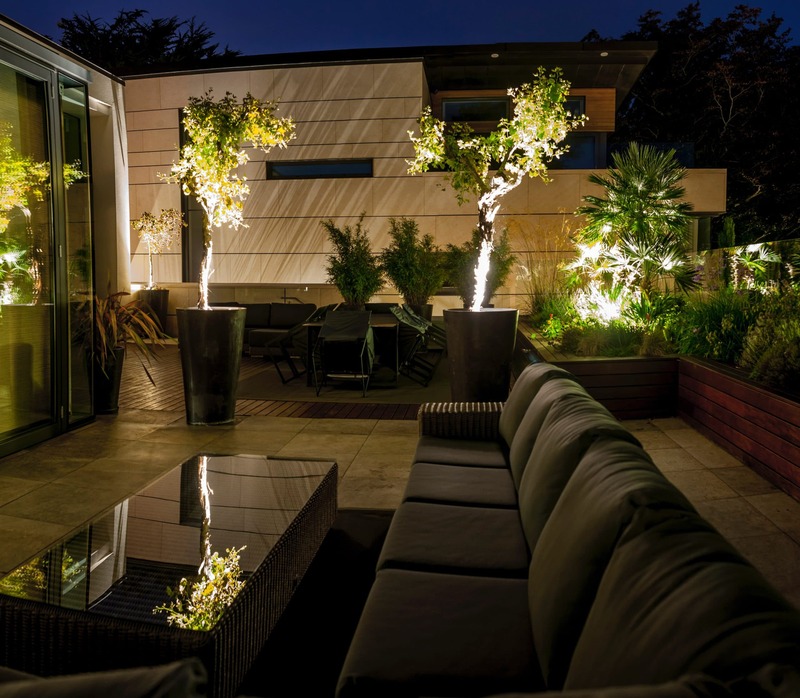 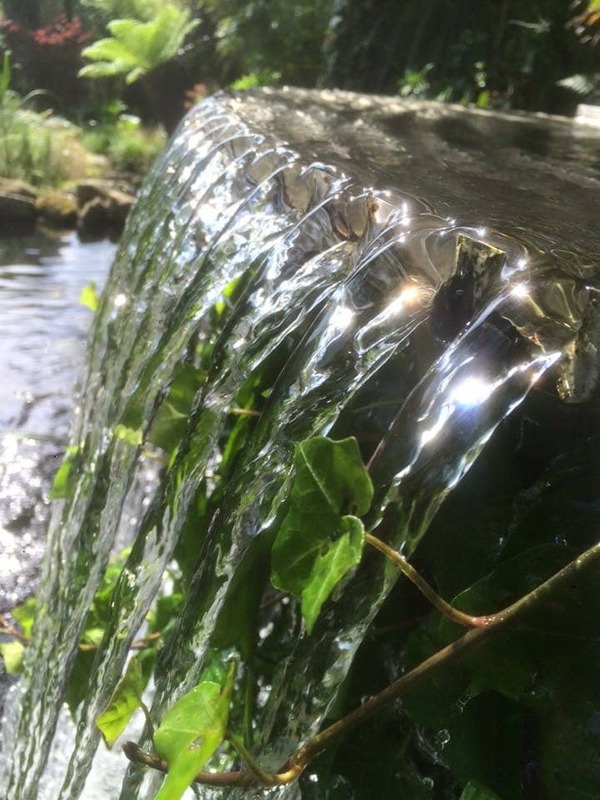 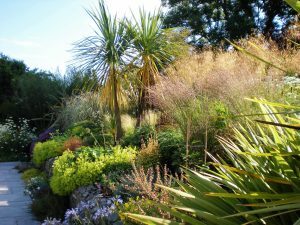 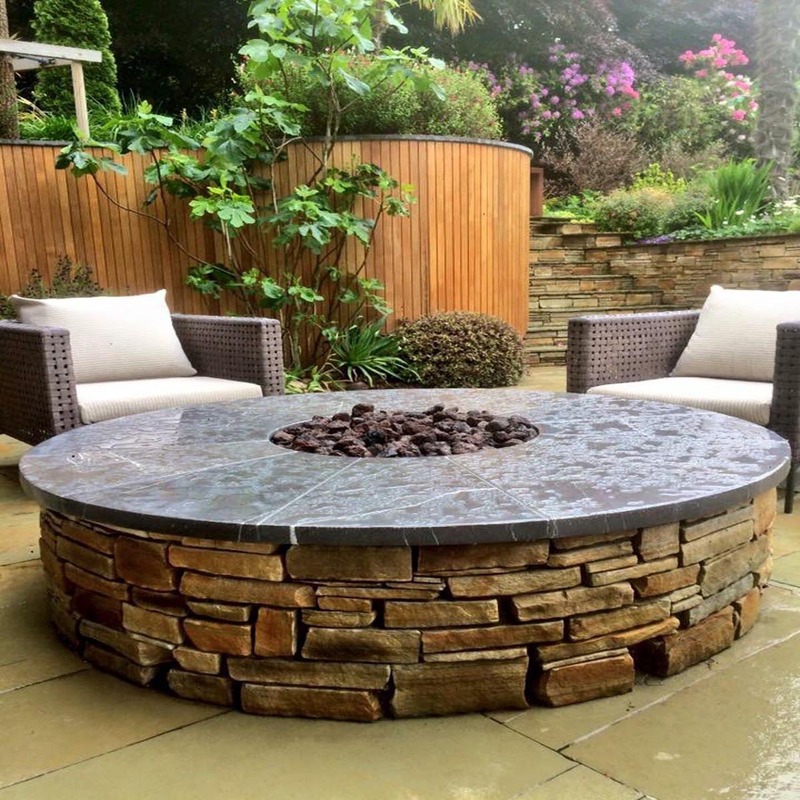 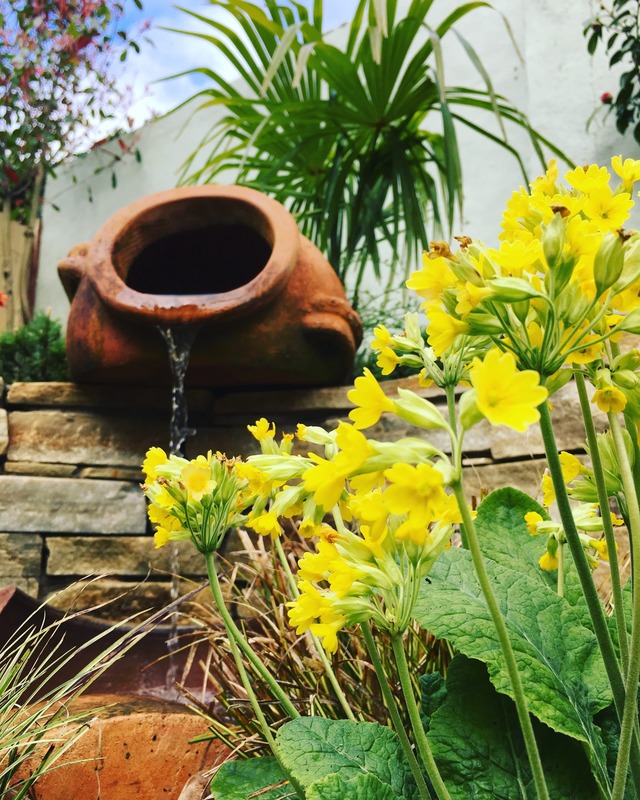 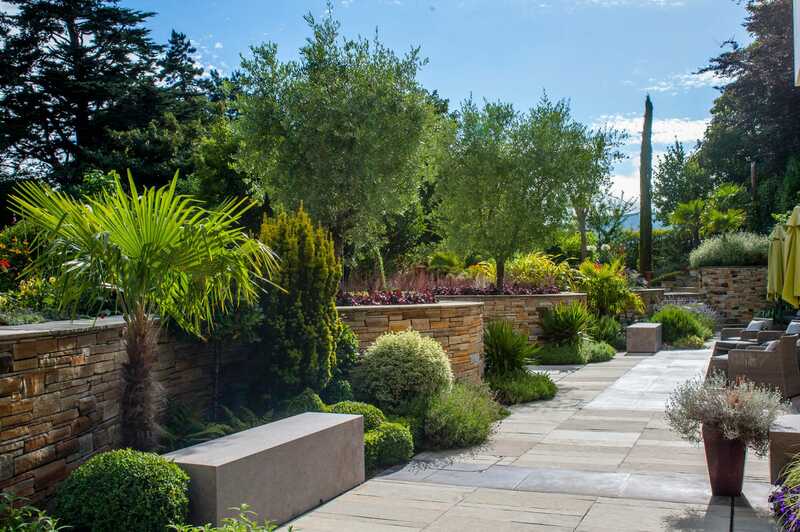 Our design and landscaping teams work in tandem creating inspirational spaces including everything from townhouse gardens to chill out gardens to intimate or functional spaces within a larger site. 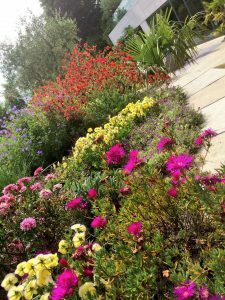 Contact us by phone or email and we will send you out a checklist to be completed to give us an idea of what your dream garden should be. 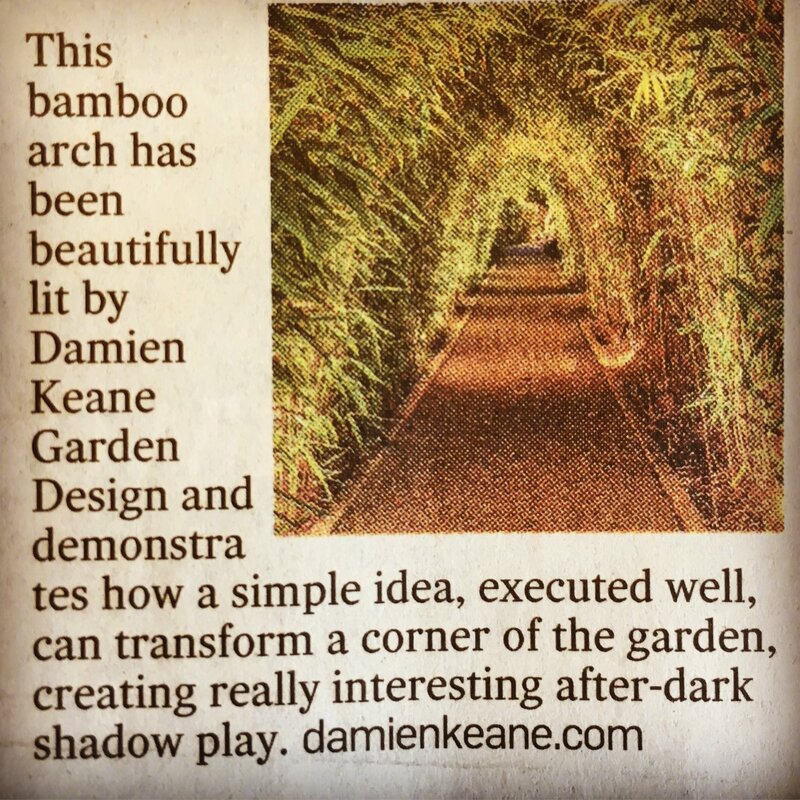 Damien will meet you to begin to generate ideas. 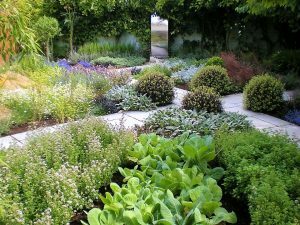 At a second meeting Damien will present a concept plan and/or an ideas specification to you, and you’ll begin to see a clear picture of the dream garden. 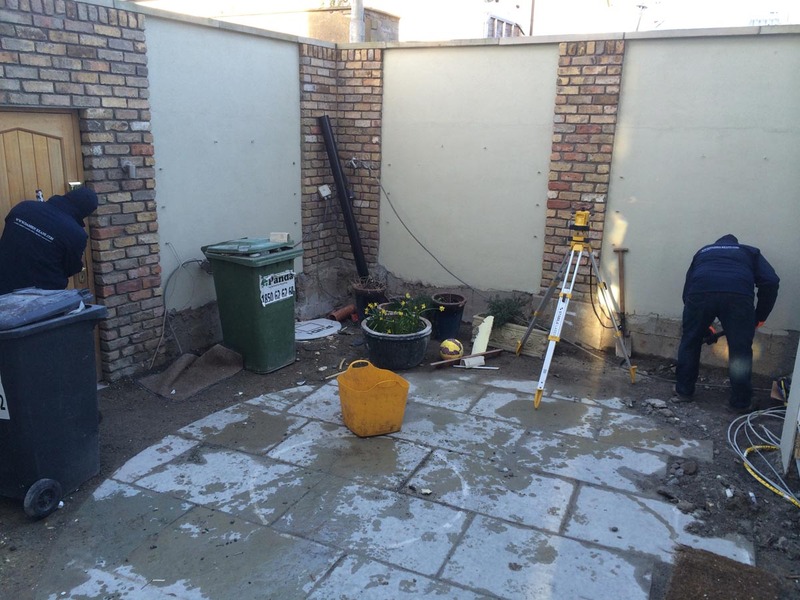 Then it’s the nuts and bolts; the team at Keane Spaces will devise a working plan, including costs and timelines. 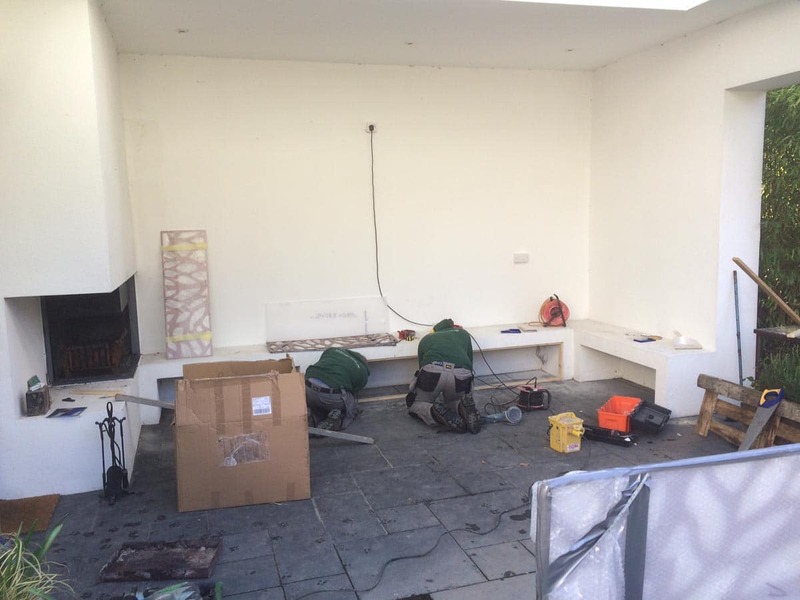 Contracts will be signed and agreed and then work will begin – Keane Spaces will deliver the finished project as quickly and efficiently as possible. 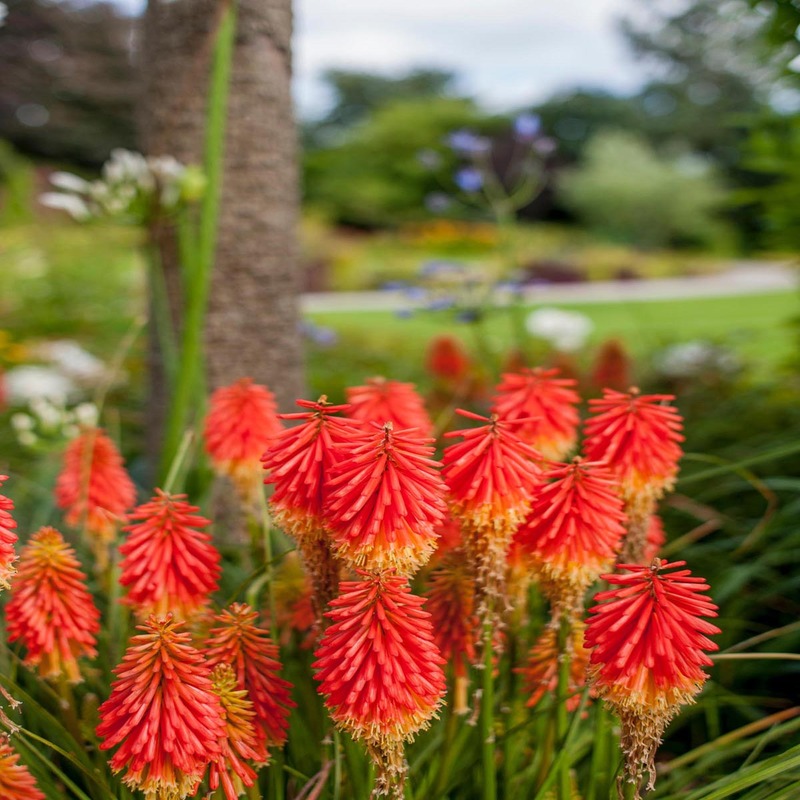 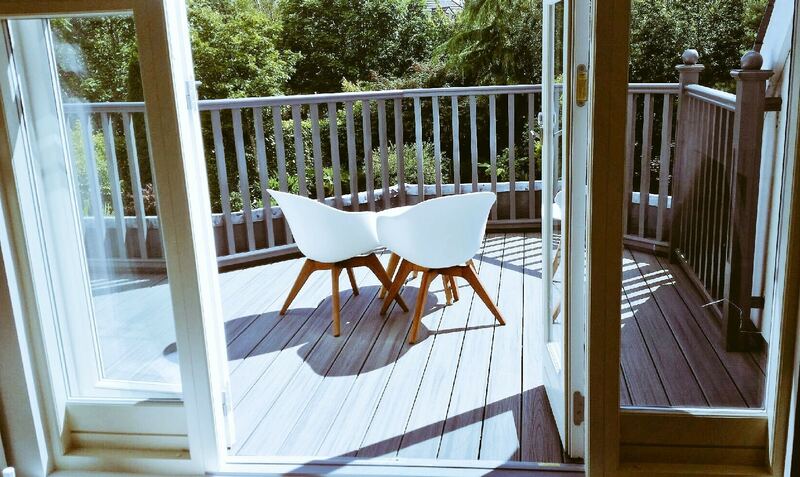 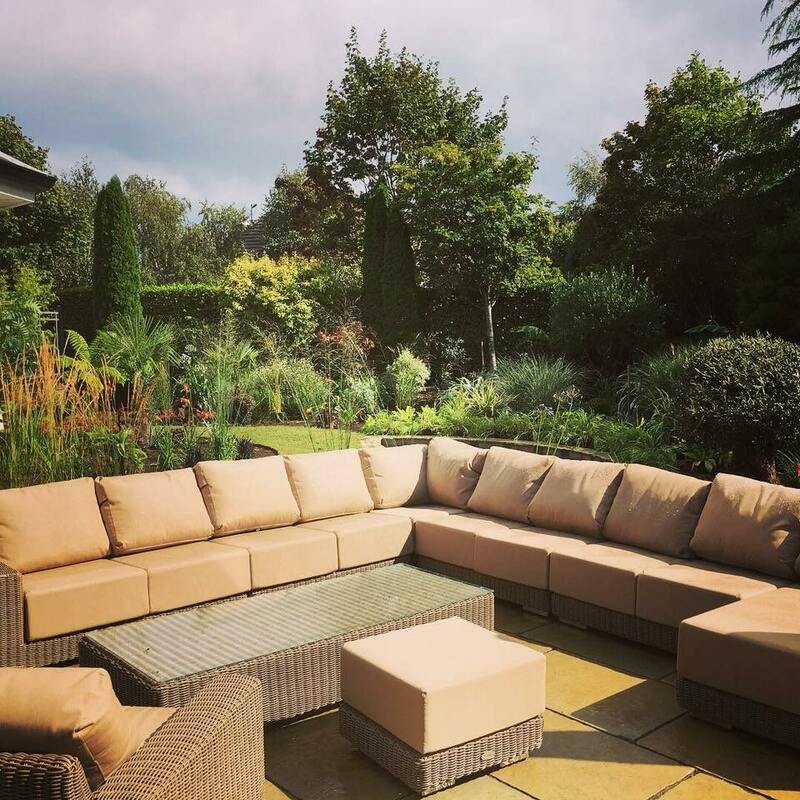 It doesn’t have to end there, Keane Spaces can also look after your new space on an ongoing basis so that you can enjoy it without the stress of watering, tidying or weeding. 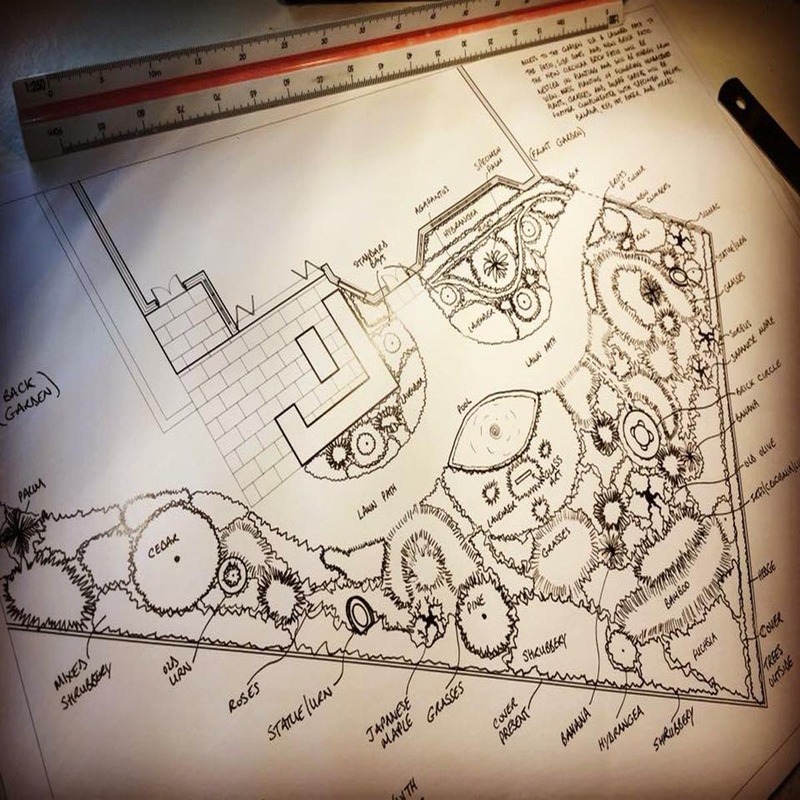 Are you considering a larger project? 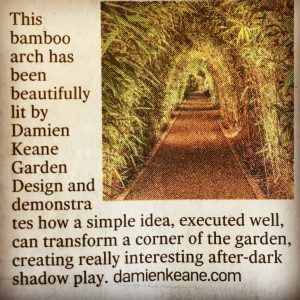 If so, check out damienkeane.com to look at some of our larger creations! 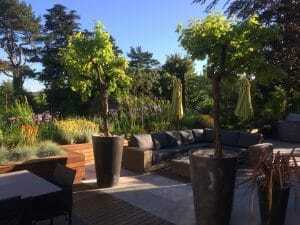 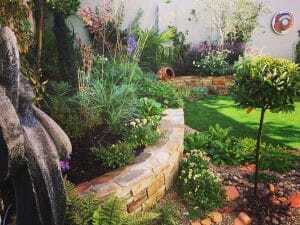 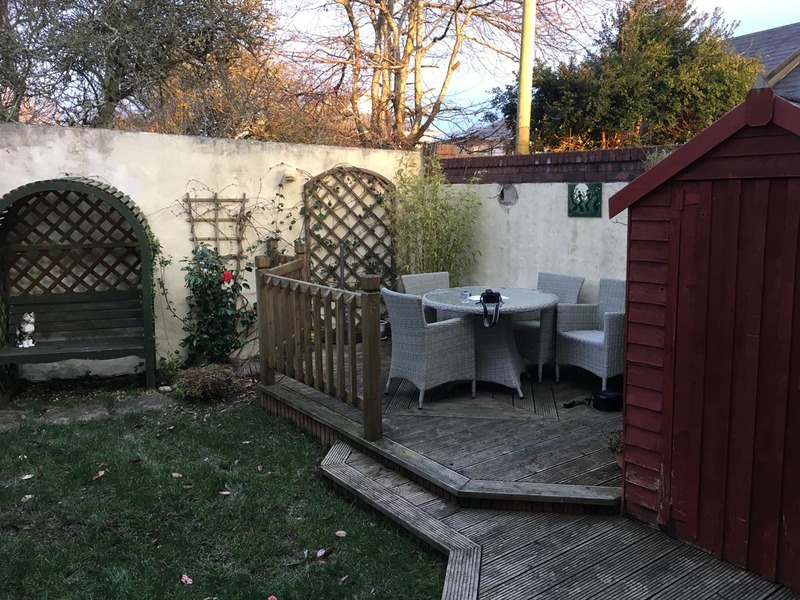 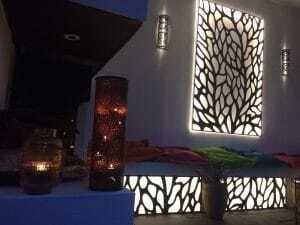 The team at Keane Spaces were thoroughly professional, 100% reliable and they created the ultimate dream garden space for my family within the agreed budget. Our wonderful chill out space is the perfect hideaway and the bespoke tree-house with zip line is a big hit with the kids! I would have no hesitation recommending Keane Spaces as their attention to detail and level of expertise is outstanding. I love my Dublin city mini-garden. 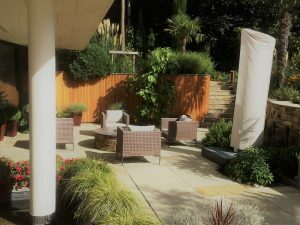 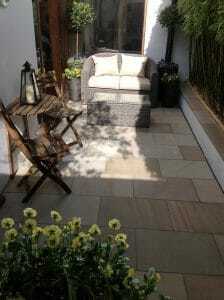 Damien and his team created a lovely traditional and comfortable space which can be enjoyed all year round. 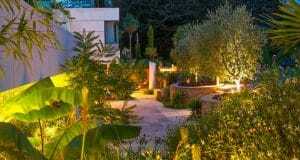 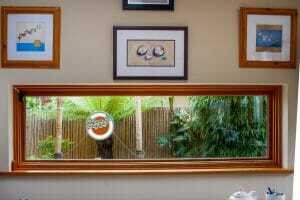 The team is fantastic and efficient and give a terrific aftercare service. 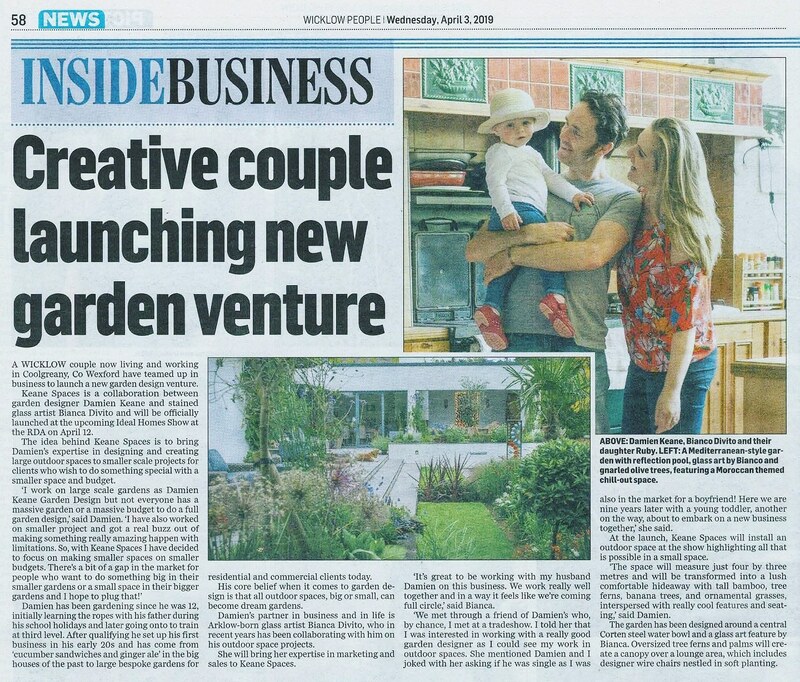 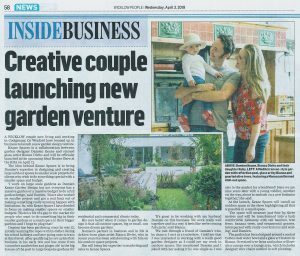 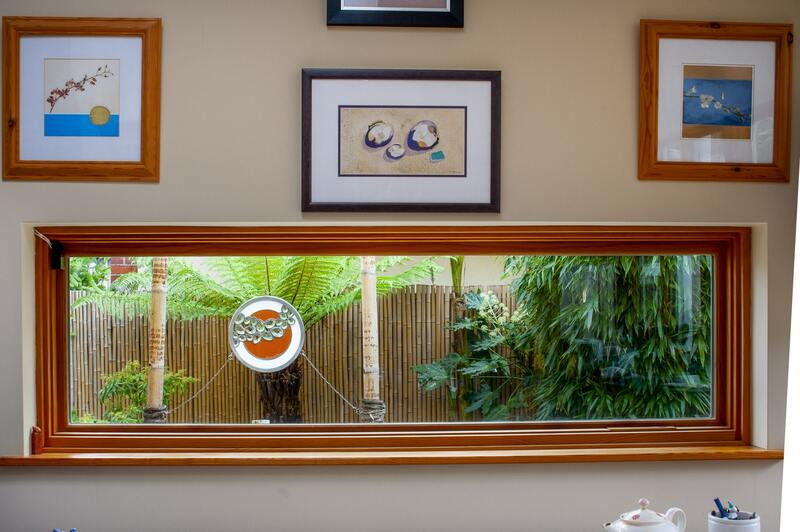 We believe that our garden space is an extension of our indoor space and so we have been working with Damien and Bianca to create indulgent spaces to a plan which has evolved (and continues to) over a number of years. 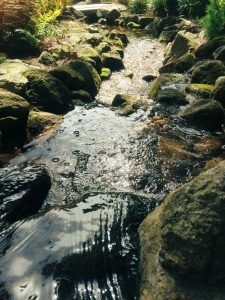 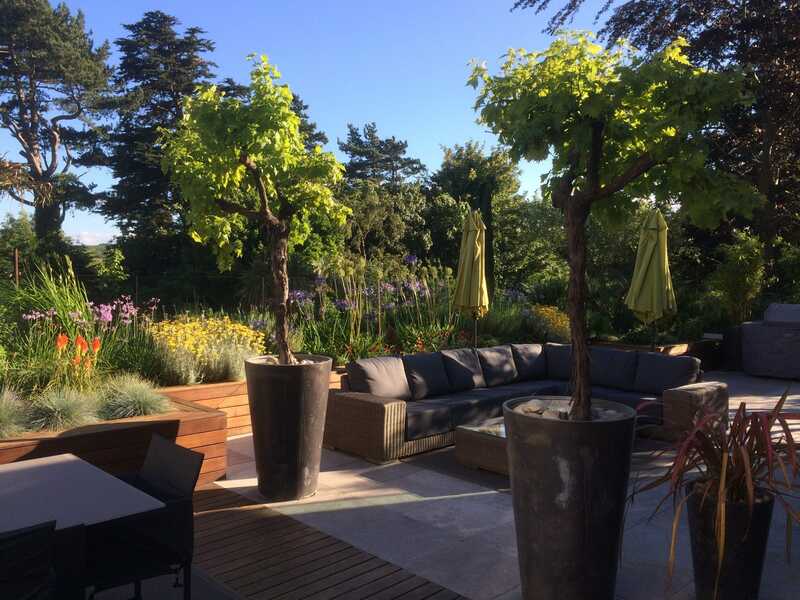 We live in an exposed site in the Wicklow Mountains where Damien and his team have created a fabulous series of garden spaces, adapted to our environment, which we can escape to when the weather permits…and enjoy looking out at when it doesn’t! 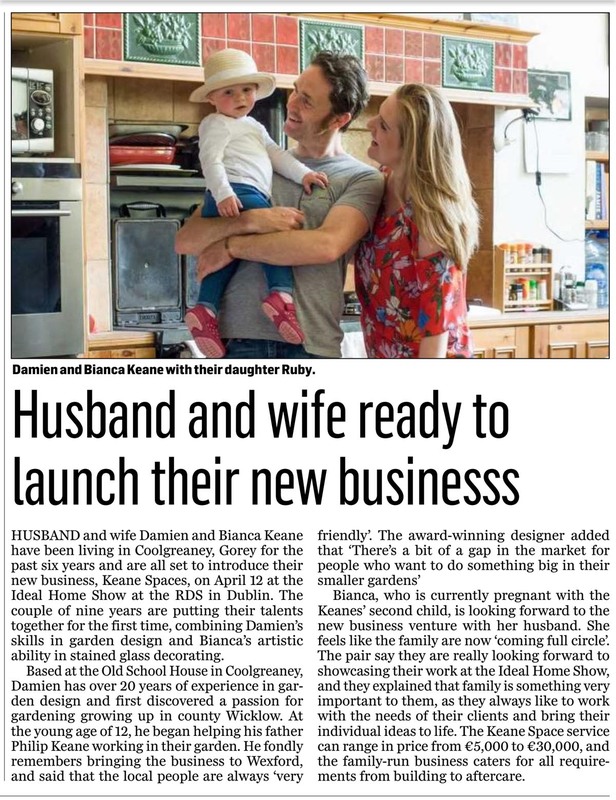 The Keane Spaces team are brilliant to deal with – they take our ideas and transform them into something we would never have thought of ourselves. The budgeting process is clear and all projects are delivered on plan with no hidden extras. 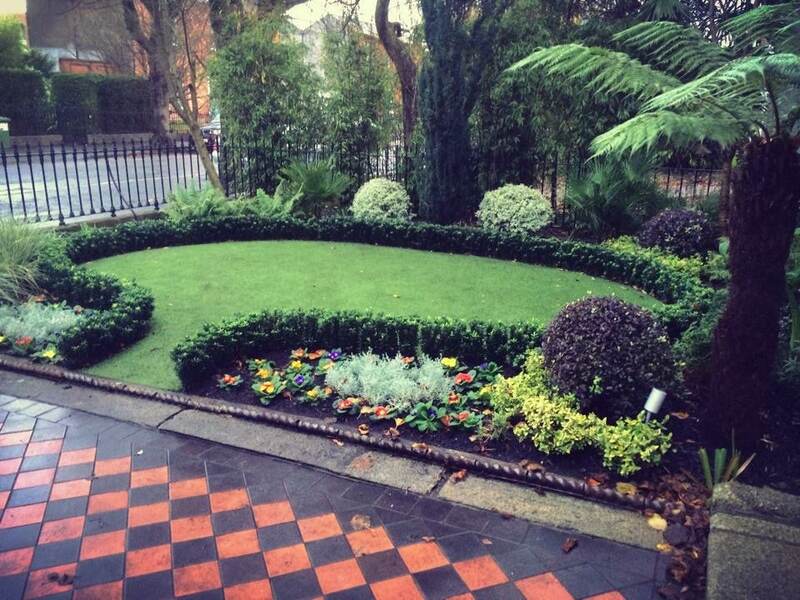 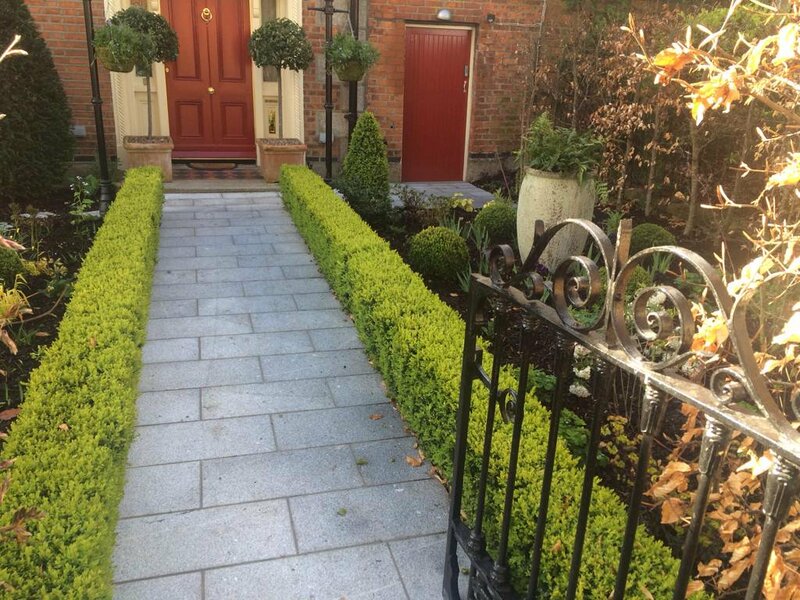 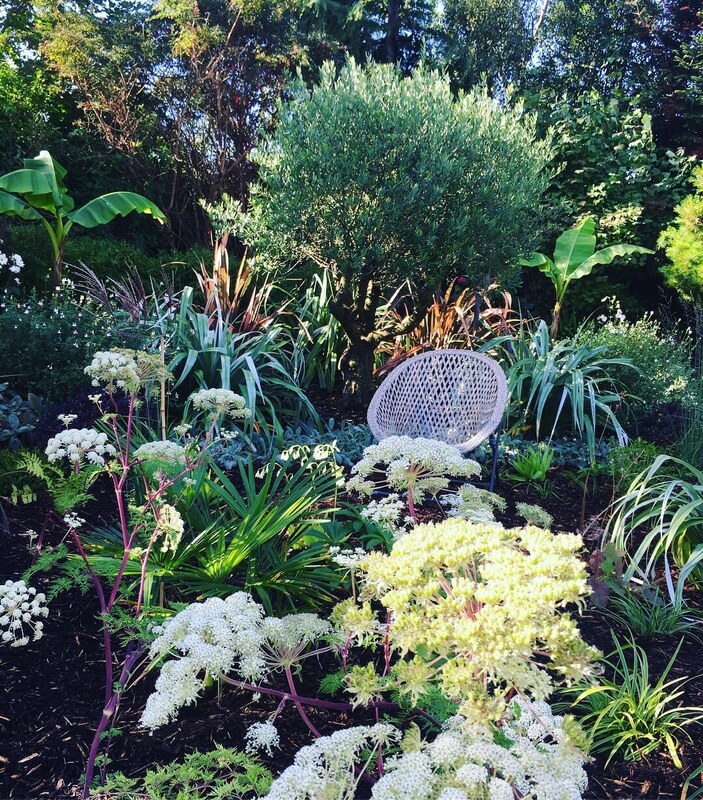 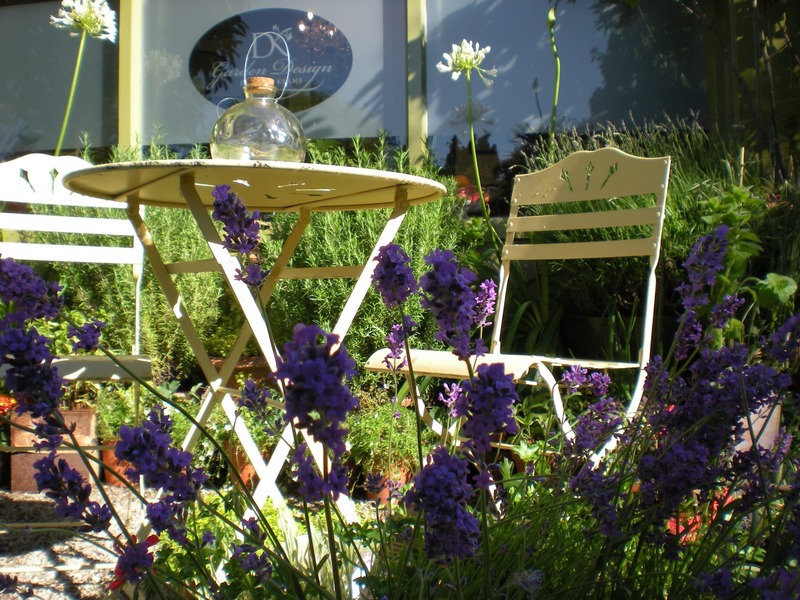 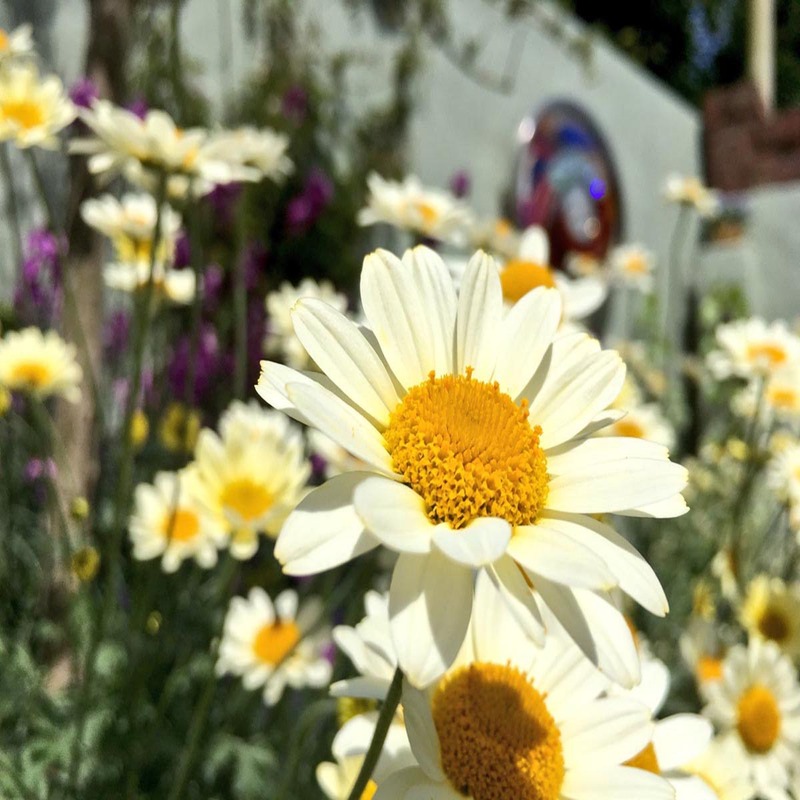 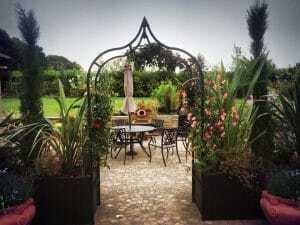 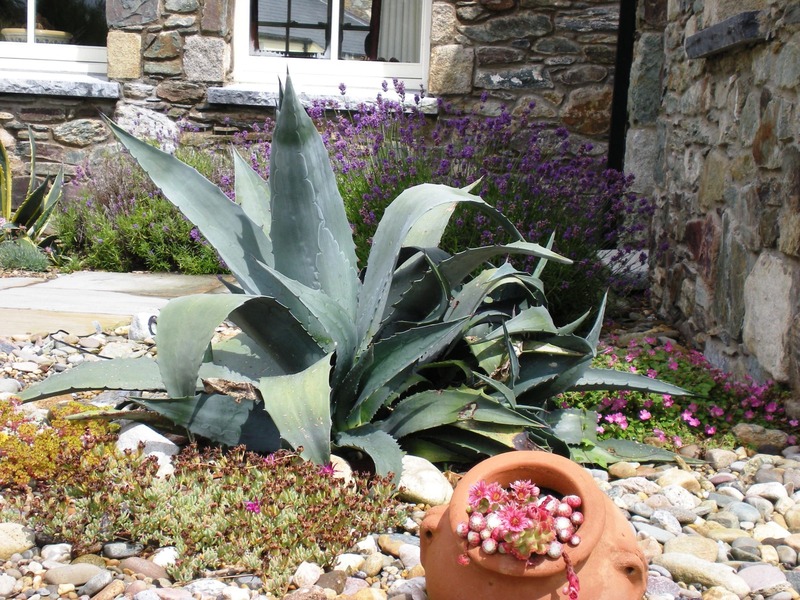 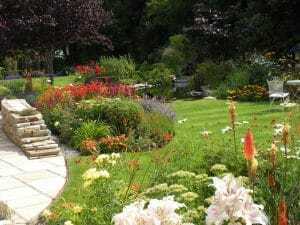 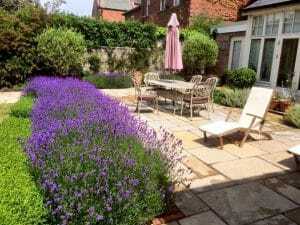 With the superb after-care service they provide, our garden looks fantastic all year round! 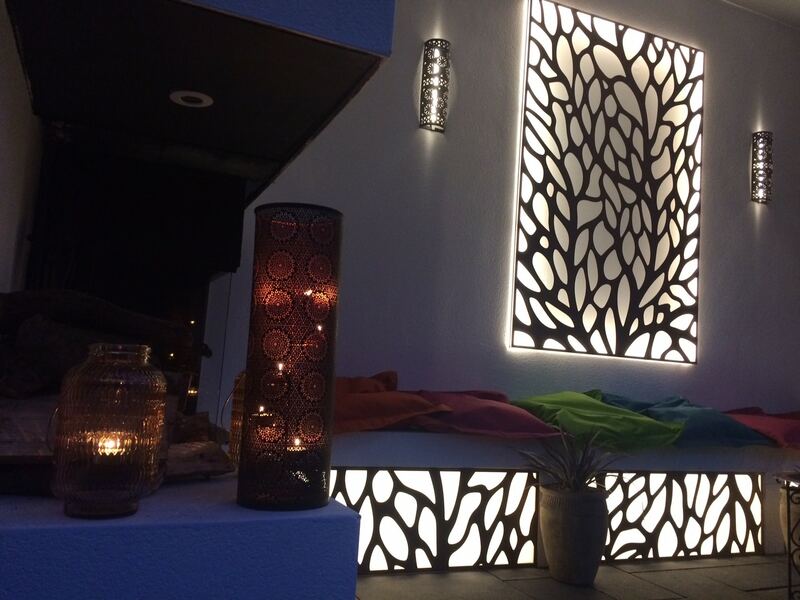 Call now at +353 (0)402 21418 to get started! 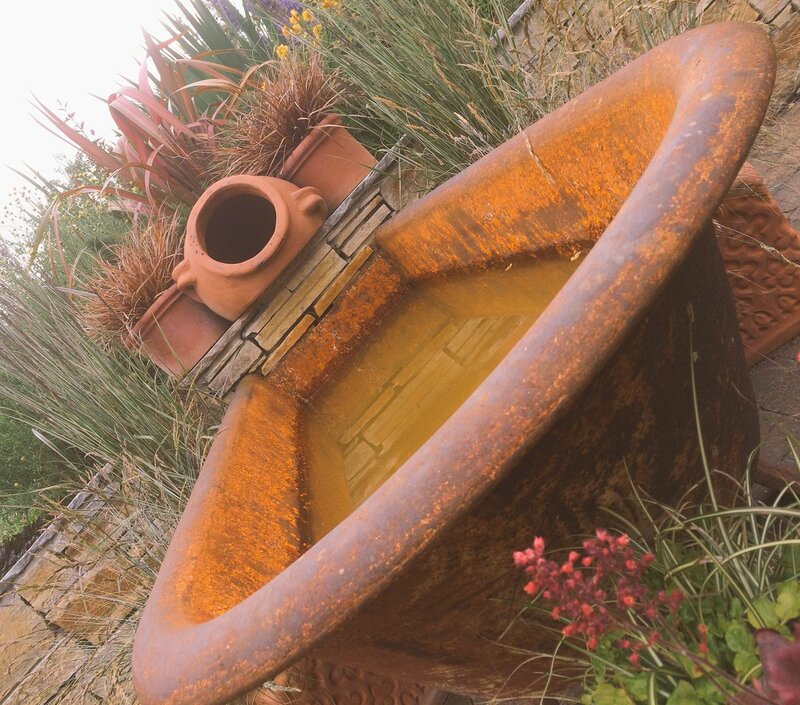 The garden has been designed around a central Corten steel water bowl and a glass art feature by Bianca Divito. Oversized tree ferns and palms will create a canopy over a lounge area, which includes designer wire chairs nestled in soft planting. 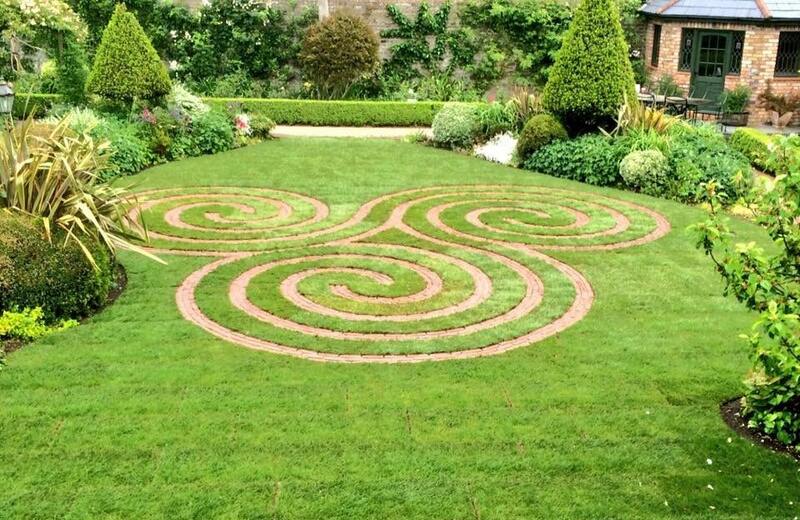 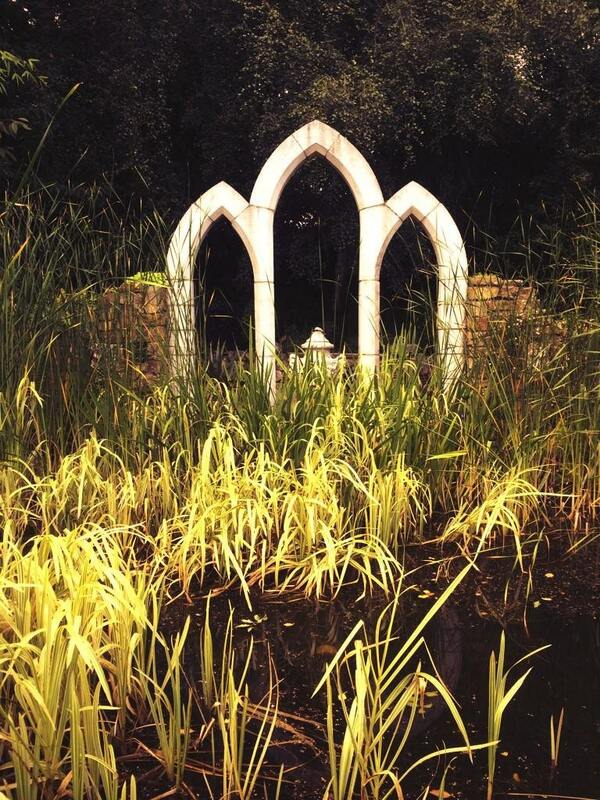 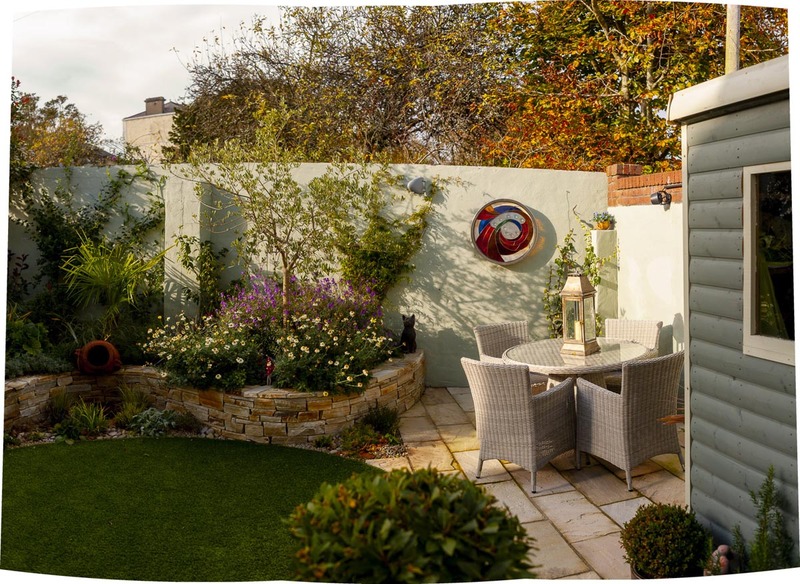 Not just for the Ideal Homes Show, this garden could be installed in most city gardens in Ireland.